Recently, we were all fairly interested to see the effect in Japan when it was revealed that Kyushu Electric Power Company carried out an e-mail campaign to get its employees and the employees of some of its contractors to essentially "stuff the ballot boxes," as it were, at a public symposium on nuclear energy. The negative backlash from this discovery was the instant reversal of the opinion of local governments who had said that they would allow the restarting of the Genkai station. SEE APR'S POST ON THIS TOPIC FROM JULY 6. The backlash now apparently includes at least in part a campaign by one Professor Hiromitsu Ino, a professor in metallurgy who has written a paper concerning Genkai-1's pressure vessel and passed it to a major anti-nuclear group in Japan. SEE APR'S POST ON THE GENKAI PRESSURE VESSEL FROM JULY 26. We have further evidence that there are a growing number of anti-nuclear blogs launching in Japan, having been linked a few over the last several weeks by commenters and e-mailers. Now, there is another revelation which begins to seriously undermine the credibility of the major operative nuclear overseer in Japan, the NISA. Today a number of outlets in Japan are carrying the story that Chubu Electric Power Company essentially carried out the same kind of campaign that Kyushu did, but did so back in 2007 at a live forum in Shizuoka. The company both helped fill the conference venue with participants and arranged for pre-written questions to be asked, apparently some by citizens. Chubu reports that this was done at the request of NISA. I have commented here, on the ANS Nuclear Cafe blog where I guest posted recently, and in various e-mails that the relationship in Japan wherein the operative nuclear overseeing agency is a part of the ministry of industry/trade is questionable at best in terms of intent, and this revelation begins to support some of our deeper fears about what such an arrangement might allow or even encourage. We learned this lesson a long time ago here and made the moves necessary to ensure that such a thing cannot occur. The part of the government responsible for promoting nuclear energy is NOT the same part that regulates nuclear energy (DOE Office of Nuclear Energy, and the Nuclear Regulatory Commission, respectively.) The functions used to be under the same roof -- the old AEC -- until 1974. Worries about central requirements of promotion and safety regulation led to the split. In Japan, however, the arrangement is much different as noted and it now appears, if all of the things Chubu Electric has mentioned are true, that the kind of thing the Japanese public have been suspicious of since Fukushima has probably been occurring a lot longer. This may turn out to be one of the larger nuclear energy regulatory scandals ever unfolded - especially if more cases like this are turned out by other companies. This is the last sort of thing that nuclear energy in Japan needs. It may bear out that the future of nuclear in Japan will have little to do with SBO mitigation, tsunami barriers or SSE criteria but will instead simply hinge on something more basic and more familiar to anyone anywhere, which is trust. NHK in Japan is reporting that TEPCO has dropped its plans to assist with the construction of up to four reactors in Turkey, but that TEPCO says that it WILL keep a role in the construction of nuclear plants in Vietnam. Today in Japan there are a number of reports in circulation concerning a report given by a Tokyo professor in the field of metal physics to a public watchdog group concerning supposed near-disastrous conditions at Genkai No. 1 in terms of the structural integrity of that plant's reactor pressure vessel. The presentation of data from this report, quotes from its author, and more are seen in the anti-nuclear hyperbole filled extravaganza linked below. If you can tolerate it, please read it and then return here for a sober discussion. Now, for some sensible commentary. In recent months much discussion has been given to the pressure vessels at the Fukushima Daiichi site, and whether or not they have failed. As such, then, many people are now at least partly aware of what a "pressure vessel" is, where it is located in the plant, and what its job is... which is to contain and support the reactor core, the control rods, and other associated equipment. Many decades of research have been conducted concerning the pressure vessels in reactor plants. Since the pressure vessel is made of steel, and surrounds the reactor core, it is natural that it will suffer some sort of mechanical degradation over time due to the exposure to a very high neutron flux. Without going into minute detail, we can simply say that the neutrons will tend to collide with and displace atoms in the crystal structure of the metal of the pressure vessel, leading to local, very tiny defects. The overall effect on the metal of the pressure vessel is to force it to begin to act in a more brittle way than in a ductile way. A failure in a brittle fracture mode is sudden, with rough surfaces between the broken pieces while a failure in a ductile mode shows the effect of stretching and deformation of the metal (called "plastic deformation") before it fails. Now, this isn't to say the metal just eventually fails. No reactor pressure vessel has EVER experienced brittle fracture. None. Zip. Zero. This is one of the Design Basis sorts of things that is absolutely intolerable, was recognized at the outset of nuclear energy's development, was constantly studied and investigated and tested. Many thousands of hours of testing, millions of man-hours and very much material have gone into embrittlement studies just for reactor pressure vessels alone. As can be seen simply from the titles and publishing dates, the American Society for Testing and Materials has been involved with testing of reactor pressure vessel metals for many decades - to say nothing of all the other organizations, regulatory agencies, private companies and government laboratories here and world wide. The result of looking at the data in these three volumes is that the number given for the DBTT at Genkai No. 1 BY THE OWNER-OPERATOR is a safe number which is not out of the norm by far. The described rise in the plant's DBTT over time is also along curves presented for both A302B and A533B pressure vessel steels in use at the time that Genkai No. 1's pressure vessel would have been fabricated, so far as I can determine at this point. Having said that, it remains unclear for the moment exactly which steel alloy this plant incorporated. I cannot yet find a complete enough version of this report, or any statement by any official agency, as to which alloy was in use. However, the given DBTT of 80C by the owner-operator is in line with graphs in these volumes and the expected rise to 91C in two further decades is certainly workable. "It would thus appear that for the weak direction, irradiated A533B steel could fracture in a brittle mode ... in the presence of a large flaw." This says nothing by itself of the dimension of the material, the total irradiation, the actual application of stress, the nature of the flaw itself (metallurgical, weld defect not normalized, etc.) Taken right out of context it may look alarming, but it is part of a process being used to ensure that brittle fracture doesn't happen. This author cannot at the moment find any clue as to what the defect stated in the Genkai pressure vessel is supposed to be. Studies are done assuming a worst-case manufacturing defect, or weld defect. Whether this exists or not specifically in the Genkai vessel is not known. Kyushu Electric does say that the 80C DBTT is high, but acceptable even in the linked article. -The article I linked is full of typical anti-nuclear press operative words. Note the reference to pouring ice water into a hot glass. Ludicrous. The press does things like that to make you think you've actually conducted a really applicable experiment in your own home before. -The professor's material quoted in all sources that are running it gives NO sources for data either as to the RPV material or to the supposed worst-case defect or to the testing performed. This kind of thing is always suspicious. -The agency to which this "report" was submitted probably does not care too much about actual operational fact, metallurgical research or the decades of neutron embrittlement research. All it does is print "nuclear = bad" any way it can. Submitting a "report" like this, to an "agency" like this really has no official standing whatsoever. It's good for citizens to be curious and informed, but the anti-nuclear agenda here could not be more clear. -At the moment, what Kyushu is saying about the DBTT seems in line with available information here in print and with several documents I read this morning from the DOE and NRC about pressure vessel embrittlement - the most recent of these dated 2010. As such, considering this author's review of materials from practically forty years' worth of neutron embrittlement study there appears nothing particularly alarming about the numbers Kyushu is giving at this time. A rising DBTT really means that the plant is limited operationally as to how fast it can cool down. Assuming the plant is operated at full or near full load all the time (called a 'base load' plant in the business) the rate of cooldown won't be affected by following system load demand. Careful operational control to limit rates of heating up the plant and cooling it down have been employed at all nuclear plants for their whole existence, even back to the first successful PWR (that would be the STR Mark I, or the S1W plant at NRTS which was started up in 1953) so that this operational aspect is absolutely nothing new, nothing novel, nothing alarming or even in most cases particularly noteworthy. I only go into this much detail to refute this report because it tries to go into so much detail -- wrongly applied, it appears -- to make the neutron embrittlement issue look so much more important than it really is. Naturally since this story has legs in the Japanese press and has been sent to (but oddly not published on line yet by) a big anti-nuclear group in Japan, we'll keep watching for further technical details or Kyushu or NISA press releases and will update here with whatever way this shakes out when more details emerge and are firmed up. Labels: "genkai" "embrittlement" "brittle" "pressure vessel"
Conditions at the site are essentially as reported before, with some expected problems. Perhaps most notable is the slow increase in nagging small complications with the filtration / decontamination / desalination system that TEPCO has been using. At this time, NHK has reported that the system is not running and that TEPCO has resorted to direct fresh water injection (supplied remotely, and not from the system storage tanks) which of course again begins to increase the total amount of contaminated water on site. The very latest readings do not show any increase yet in accumulated water levels by direct measurement. A new supplemental system is being brought in (called SARRY for short, an acronym) and will be running by the end of next month if all goes well. Meanwhile, reactor cooling has as a function not been hampered, as TEPCO constantly makes adjustments to the system to counteract clogging, and has made repairs to reduce air binding and head loss so that reactor core temperatures are actually coming down. In fact, No. 1 plant's lower head temperature has been below 100C for some time now. Viewers of the live camera on site will see, as this is written (9:20 PM Eastern on Monday) three crane heads visible around No. 1 reactor building engaged in the work to construct the fabric type reactor building enclosure. Finally, nitrogen injection continues at all three reactors. Dry well pressure at No. 2 plant now essentially matches that at No. 1 plant, which is encouraging, while pressure at No. 3 plant is much lower. 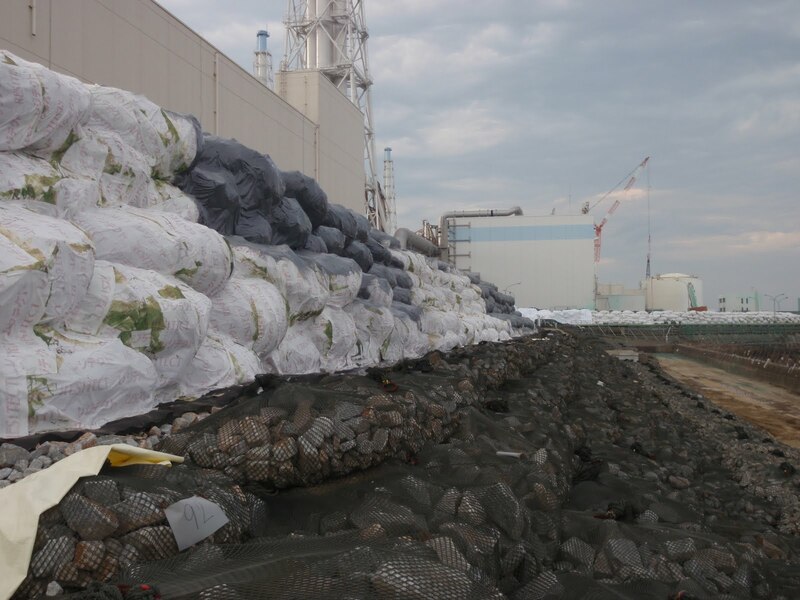 There are no reports of TEPCO or NISA being dissatisfied with the results of this operation, which as mentioned before will continue until defueling or dry well flooding, whichever comes first, it appears likely. A recent poll reported by NHK shows a sharp rise in the number of persons who wish to have a non-nuclear future. However, what is not totally clear is to what extent the politicians can actually implement such a plan - and their devotion to such is not clear either. This was all sparked by Prime Minister Kan's statement about desiring a non-nuclear Japan, which he later backed away from by stating that it was a personal goal, not a political agenda. However, certain anti-nuclear groups have picked up on it and certainly the confused governmental actions now are making it seem as if the government is, itself, highly indecisive. This will not lead the public to believe it can make solid, rapid decisions about things that affect the public safety (such as nuclear energy) and will not help the pro-nuclear cause at all. Further, the new plan to remove NISA from the trade ministry comes at a time when Japan had been preparing to restart plants to avoid rolling summertime blackouts and then switched tracks to go with IAEA inspired "stress tests" on all its reactor plants, pushing off the restarts. If the Japanese people are wondering who is in charge (NISA, the executive portion of the government, or the IAEA) and what whoever is in charge will end up doing, they surely have a right to be wondering because the Japanese government is sending out such a wide-ranging shotgun pattern of messages that no one at this moment could be one hundred percent certain which way the outcome will be. One certain thing is that when Japanese industry (primarily car makers, but also steel makers) gets deeply leveraged by lack of energy supply, the case for nuclear will become much more solid. To bolster its plant protection at Hamaoka, Chubu Electric Power is building a new 18 meter wall and enhancing other protections, leading the way to a truly tsunami proof site. One report in right now describes a piece by a Japanese professor which is calling into question the integrity of the pressure vessel at Genkai No. 1. This is a separate issue from anything we've been dealing with so far in Japan, and since it is also one of the kinds of things the AP piece of recent note called out and is one of the anti-nuclear crowd's favorite sticking points, I will give this topic a special post after checking up on Genkai-1 and looking at some reference materials on pressure vessels of that day and age. Labels: "fukushima daiichi" "tepco" "nisa" "genkai" "pressure vessel"
-The Japanese government and TEPCO have modified their overall timeline for recovery from the Fukushima Daiichi accident. The overall dates have NOT been pushed back, but a number of goals have been redefined, some goals added, and some deleted. Relevant to our normal discussion on this blog centering on nuclear safety are the following changes: First, the requirement for filtered continuous dry well venting has been deleted. Second, the plan to flood the dry wells has been cancelled. 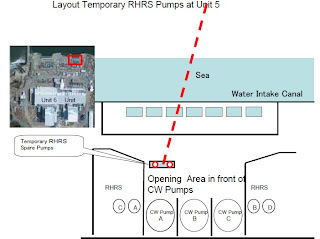 Third, plans to continue to seal leaks in the suppression chambers are marked as cancelled - even though the most recent (July 19, or today) TEPCO press release indicates that "grouting" or concrete filling of the area around the suppression pool at No. 2 plant continues. We will look for further information on this matter. 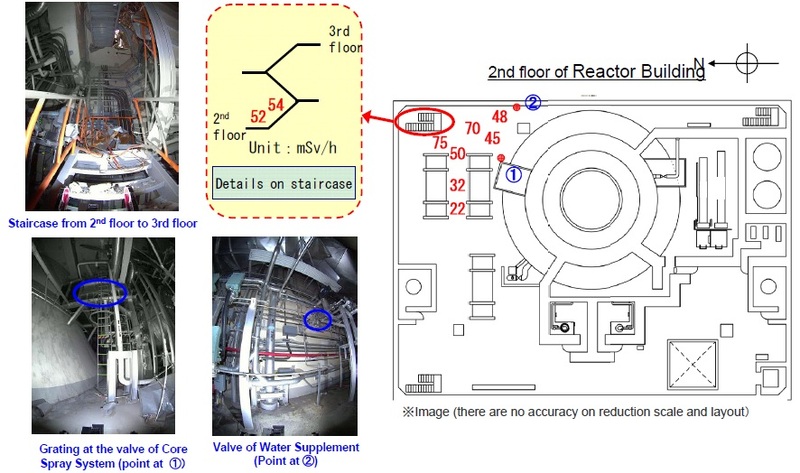 Fourth, the plan to install temporary heat exchangers in the reactor buildings for cooling the reactor cores has been abandoned since the present operation consists of both remotely filtering and remotely cooling the injected water at other buildings on site. 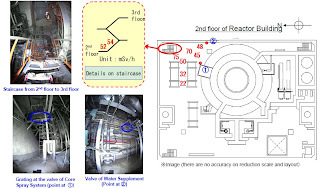 The Japanese Government and TEPCO officially have now declared the first stage of the recovery completed (as predicted here some time back, and then reported here again) in terms of the reactor core and spent fuel pool condition. Also declared completed is the goal to reduce radiation and radioactive release to the environment. In light of this declaration, and all the work accomplished to this point, the changes in the road map planning for the recovery .. some of which were detailed above .. are not at all surprising. In fact, this writer was wondering at what point the official plan would be altered to reflect the improvisations and alterations made necessary by complications; now they have been, for the most part. One of the more interesting provisions for future work (this is, in particular, contained under the "mid term" or roughly three year time span) is the control of stress corrosion cracking to structural materials in the reactor plants. TEPCO labels this as partially ahead of schedule. The effect on plant components from the injection of salt water during the early accident phases is not yet known; it seems that this road map requirement is in response to such a consideration. 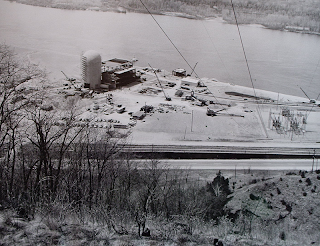 The next step, scheduled for January of 2012, involves primarily the declaration of total cold shutdown of the reactor plants. Those with any experience in this field realize the extrapolations necessary to apply this term used in normal operations of reactor plants to the seriously damaged cores and plants at Fukushima, but in terms of temperature at least it may be applicable or at least understandable. -Meanwhile, TEPCO has installed a temporary covering over holes in the roof at No. 3 plant's turbine building to prevent rain water from tropical storm Ma-On from adding to the contaminated water. 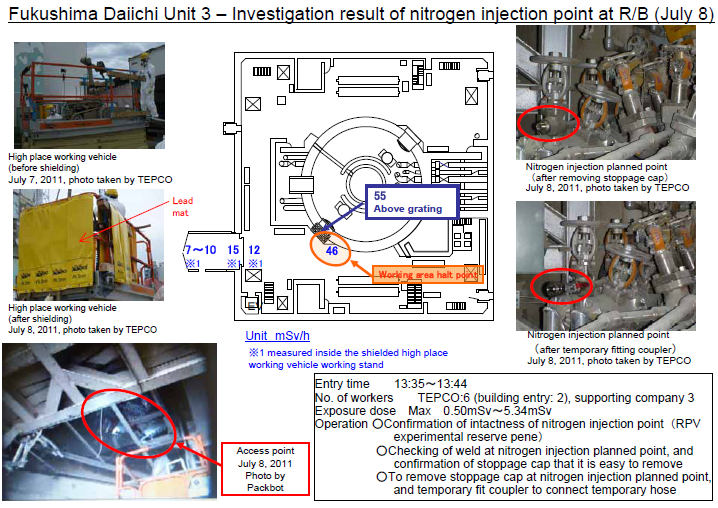 Two TEPCO press photos show the roof structure on the ground by No. 3 turbine building, and then being hoisted into position. -TEPCO has begun to have some problems with the feed rates lowering to the reactor plants; in particular this has happened more than once at No. 1 plant. 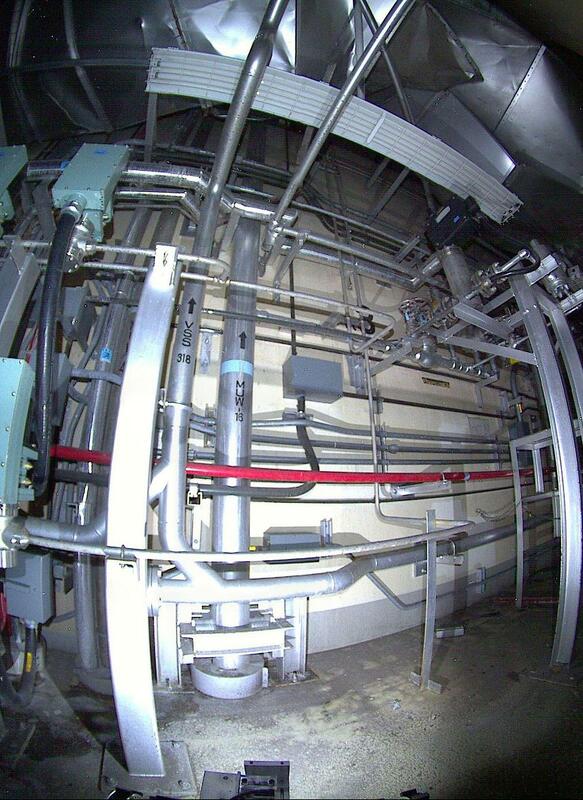 TEPCO has discovered several areas in system piping subject to air binding (high points, and check valves), has identified and replaced several piping/hose runs with high head loss, and has identified (and removed) an electrode (actually a sacrificial anode) in a system pipe which restricted flow. It has also changed injection pumps for No. 1 and No. 2 plants. The flow rates continue to be adjusted incrementally but generally are remaining between 3.8 and 4 m³ for No. 1 and No. 2 plants, and 9 m³ for No. 3 plant. Temperatures on No. 1 and No. 2 plants have moved up and down a bit as expected in response to the fluctuations in flow, but nothing of any alarming trend has developed. -Nitrogen injection continues to all three dry wells. This accident mitigation step was planned from very early, and it appears as if all functions related to it are progressing normally; we will probably stop reporting on it here unless there is a problem or disturbing trend. As of now, here are the plant numbers, the total injected nitrogen volumes, and the dry well pressures from the latest TEPCO readings. Considering that the first recovery step is now labeled as complete, we can begin to surmise some of the operations that will be needed in the future to get the damaged cores out of the plants; we will construct and post a video showing some of the considerations required in this process on the APR YouTube channel in the very near future. Kyodo is carrying very recent news that the president of Kyushu Electric, recently of the e-mail scandal reported here and elsewhere, will resign his position on July 27th. On Sunday, Goshi Hosono, minister in charge of the nuclear accident crisis, stated on TV that he will approve restart of all safety checked reactors in Japan. He stated that the quality of life in Japan depends upon this move (to say nothing of the impact on industrial manufacturing.) He also is backing a plan to alter the regulatory bodies covering nuclear energy in Japan; this has been in the news for months now after some concern was publicly expressed about having the main nuclear regulatory body as a part of the trade ministry. 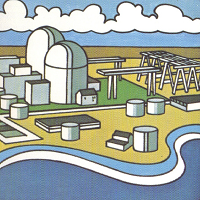 In the new plan, NISA would be removed from the trade ministry and merged with the NSC (Nuclear Safety Council) as a stand-alone agency quite similar to the NRC here. The final plan, though, has yet to emerge even though Hosono would like to see this by Spring of next year. Labels: "fukushima daiichi" "tepco" "nisa" "jsc" "road map" "recovery"
NRC Chairman Gregory Jaczko has just finished a speech and Q&A session at the National Press Club in Washington, D.C. This writer watched the speech in its entirety and presents the following observations from his notes. -The Chairman seems to have made certain within the first two minutes to have again used the "things are good but we can always do better" line, and perhaps defensively brought with him three reps whose credentials are of interest right now. One is one of the two resident inspectors at Indian Point, which is much in the news (locally, anyway) over continued public concern about fault lines it feels are not adequately analyzed or else are ignored by the NRC, the owner-operator and the vendor. Second is an NRC member who oversees fire protection programs for the NRC. Third is an NRC member who went to Japan with the IAEA mission, and whose job at NRC involves safety research. -The Chairman made the remark that many people in the business thought that such an accident "could not and would not happen." However, many people concerned with safety and accident analysis DID, and years' worth of accident analysis reports from ORNL are testimony to that. He might have done better to imply that while such accidents were and are always a remote possibility, and many have been analyzed and examined, the likelihood was so small that the chances were pushed to the furthest reaches of anyone's minds and attentions. Fukushima now brings up massive natural disasters and multi-plant accidents on site to a high level of priority EVEN IF STILL AT an almost impossibly low order of probability. And, considering the triggering mechanism, in the United States an extremely low order of probability. -The Chairman pointed out that in the past, Browns Ferry (the fire) and TMI were major events that led to wide changes in regulation, as was 9/11, and that Fukushima is another such event. I agree, but not to the point of restructuring the whole regulatory environment. -The Chairman stated that "voluntary initiatives are no substitute for strong and effective oversight" when talking about safety rules, plant designs and so forth .. and accidents. This is clearly a slap at the owner-operators and vendors; one wonders what NEI or INPO will have to say about this remark if they caught it. It's essentially Jaczko saying "the NRC knows best.. or at least has the final word." -The Chairman made a vague statement that work by the panel is looking at "redefining our core definition of 'safety'." What does that mean? I have no idea. -The Chairman also says that the task force "helped us understand what safety means in a post-Fukushima world." What does that mean? Safety is exactly what it was prior to the Great East Japan Earthquake, and the Fukushima Daiichi Accident. It means no core damage, no release of radioactive material to uncontrolled areas.. all the same things it meant before. Let's just stop to mention one thing here: The ultimate consideration here vis a vis safety is that the Japanese DID CONSIDER a massive tsunami as possible on the Fukushima site and DID BUILD a tsunami barrier against it. The barrier was not tall enough, and was not effective. There were other problems that began like a spark in a powder keg when the water breached the protection. This requires no fundamental shift in our thinking of what nuclear power plant safety is. Now back to my notes. -Perhaps most tellingly, the Chairman kept mentioning 90 days is now the next time period to get the panel's recommendations considered for action. Oddly, while he was saying this a tweet appeared on the Twitter feed on the NPC site labeled as being from the House Commerce committee saying that they urge him to follow established commission procedures. It certainly seems like Jaczko is implying, and that this committee is thinking, that the Chairman might attempt some sort of executive privilege or order with his new power to circumvent established procedure in terms of new regulation. This will certainly be much more clear soon. -The Chairman was asked why just 90 days to review and get regulation going - does that mean that there really is an imminent threat? His answer refreshingly was "no" - saying also that if there were any imminent threats we'd be shutting plants down right now and we're not. -The Chairman was asked what the Japanese did well and didn't do well, but didn't really answer it. He also refused to speculate on the future of nuclear energy in Japan, and also refused to say whether dumping nuclear as Germany did makes any sense. -While asking a question about how the NRC and the nuclear industry work together, the NPC President essentially implied that the nuclear industry is like the banking industry supposedly was in that being expected to self-govern and self-regulate doesn't work. The implication is insulting. Further, the implication removes any government responsibility for the banking scandal (off topic here) and implies that big government and big heavy-handed regulation are the only real answers to corporate America's greed. Just a shameful question, and probably deliberately tossed out there to demean the nuclear industry in general. Jaczko answered that the relationship "works pretty well" but the real purpose for "asking this question" (replace that with "staged commentary disguised as a question") was satisfied. -The Chairman was asked essentially if nuclear is needed in any or all nations' generating portfolios, as it were, and he replied that when he took the oath of office joining the NRC he stopped giving his opinion on that. -The Chairman would not elaborate on Yucca Mountain or waste storage commitment, although he did say that studies show solid waste good as-is for about 60 years. That about covers my notes, and my comments on those notes. I'm sure much more will come here and elsewhere on this speech, and its implications. This week finds the 61st Carnival of Nuclear Bloggers hosted at the American Nuclear Society's ANS Nuclear Cafe blog; link below. CARNIVAL for July 16 at the ANS Nuclear Cafe. TEPCO apparently agreed with this author (without consultation, I might add) that its pressure indications at No. 2 and No. 3 plant for dry well pressure were suspicious and has replaced the pressure gauges. The new readings are not only improved but encouraging. Below are the reactor plants, the volume of nitrogen injected in total so far, and the most up to date dry well pressure readings. Most encouraging is the reading at No. 2 plant whose dry well integrity is suspected as compromised by hydrogen explosion. NHK in Japan now is reporting that Tokyo Electric Power Company and the Japanese Government have announced in a joint statement that the reactors at Fukushima Daiichi are stabilized. This means that cooling water injection is controlled, that temperature of the reactors is in an acceptable range and can be controlled, and that nitrogen to prevent hydrogen burn or explosion is being injected to all three. This follows the preliminary indication on this site Saturday in which this announcement was essentially predicted. By "Japanese Government" we assume the indication to be from NISA and/or NSC. None of the major sites so far associated with official sources (TEPCO, NISA, JAIF, JNTI) are carrying this announcement yet; we will look for these to appear soon. NHK is reporting that the Japanese government and TEPCO will make an official statement on Tuesday concerning this information, to the effect already reported previously. Many more details then. Beginning with this entry, we will begin combining our regular Fukushima Daiichi updates with other nuclear energy news items from Japan. This will do two things: First, it will make it easier for our readers to locate posts concerning either the accident recovery at Fukushima Daiichi or the situation developing for the future of nuclear energy in Japan. Second, it will simplify and reduce overall posting on the site as the US nuclear industry and regulatory bodies begin to gear up for the two serious tasks ahead, which namely are the development/implementation of Fukushima-related safety measures and the design, licensing and construction of new nuclear plants in the US. It is no understatement to say that nuclear energy worldwide is at a watershed moment, with the most serious nuclear accident in history being met with the sheer abandonment of nuclear energy in some countries, almost crash nuclearization in other countries (all of whom are unaffected) while at the same time the nuclear renaissance hangs in the balance here in the United States. For this reason, simplification of the many varied topics about to begin appearing (or reappearing) on this blog is for the best. Now, on to our topical material. -Cooling injection to the reactors (No. 1, 2, 3) remains roughly as previously reported with units 1 and 2 receiving 3.5 m³/hr and unit 3 receiving 9 m³/hr. Temperatures are stable. -Nitrogen injection continues at No. 1 and No. 2 plants, but pressure indication for the dry well at No. 2 plant has now dropped down to 15 kPa. TEPCO has flagged this reading as "under constant supervision," which is the tag that TEPCO uses to indicate that a reading is either suspected incorrect or else is correct and indicative of some other problem. Keeping in mind the suspected damage by hydrogen burn to the dry well / suppression chamber of No. 2 plant, it is of course easily possible that the nitrogen is leaking out at any uninspectable point. 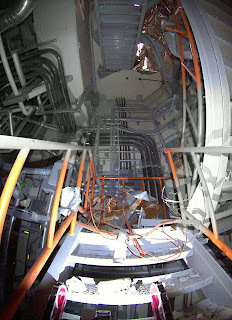 Preliminary connecting work for the nitrogen injection to No. 3 plant dry well has begun. TEPCO has five days to meet its own goal for nitrogen injection being in progress at all three reactors. 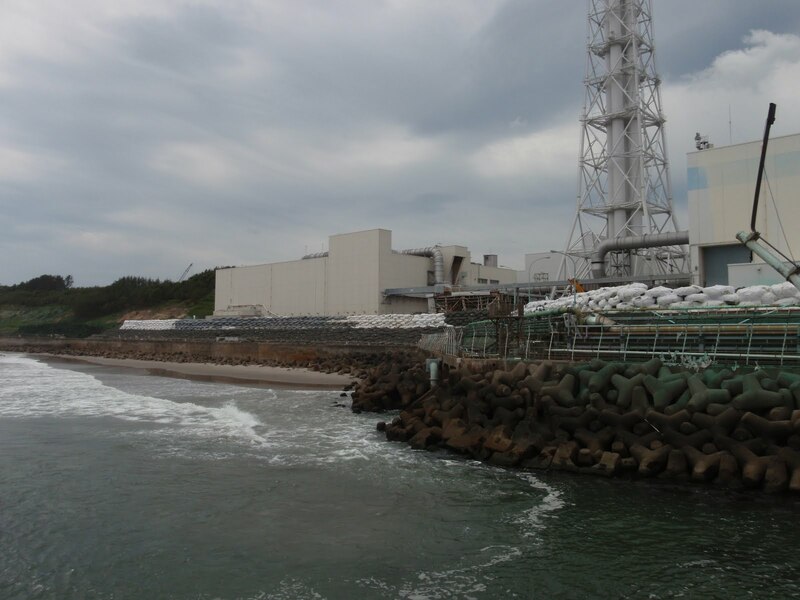 -As reported before, and frequently in Japanese media, the decontamination / desalination plant continues to have minor failures - which are then fixed, seeing the plant return to service. Total accumulation of extra amounts of contaminated water is minimal compared to previously since the system is operating more than it is not. -Surveys to determine radiation fields and exposure rates continue sporadically at No. 2 and No. 3 plants. A cursory review of the surveys and levels discovered reveals nothing surprising to this writer at this time in terms of fixed or solid contaminanation and radiation therefrom, but there is a high airborne level in No. 2 reactor building, some 65 times the limit set by NISA. -While Kyodo News has reported that over 50 utility workers were involved in the e-mail campaign to POSSIBLY influence the public view on the restart of Genkai, NHK is now reporting the total to be over 100 workers. A Kyushu Electric internal investigation will be submitted to the Japanese government within one week. The mayor of Genkai has withdrawn his approval to restart the plant. -Two reactors in Japan -- Hokkaido Electric's Tomari-3, and Kansai Electric's Ohi-1, have been operating at various power levels in testing modes for several months, much longer than normal, according to NHK. NISA and the operators are presently rapidly moving to get the final testing performed so that the plants can be brought on line. -There are some vague initial reports that JAPCO's Tokai Daini station may have suffered some equipment damage in the Great East Japan Earthquake. There are reports of both primary (safety injection) and secondary (main turbine) damages possible caused by the quake. The reports are very preliminary; we will remain attentive for further developments at this site. Labels: "fukushima daiichi" "tepco" "nisa" "japan"
As to the first point, stable cooling of the reactor cores exists at this time. TEPCO has demonstrated its ability to fine tune the feed rate of cooling water to the reactors to control their temperatures. 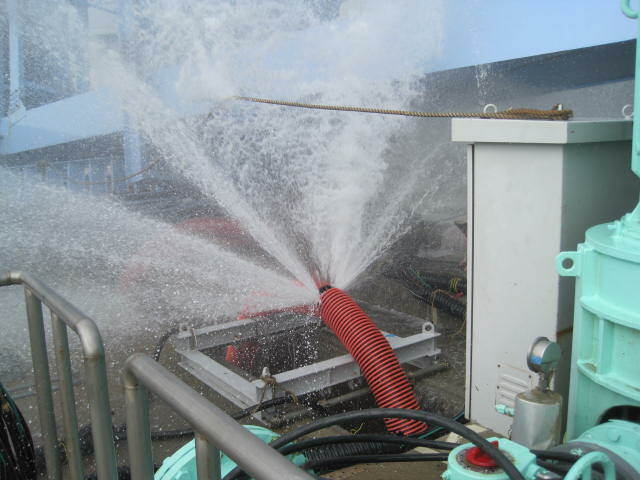 A great deal of work has gone into this effort, which has seen firefighting injection connection by fire trucks using seawater be replaced steadily at all three plants by fresh water injection using the normal feed system piping to the pressure vessels. As to the second point, at this time TEPCO is preparing to commence nitrogen injection to the dry well of the last plant not already receiving nitrogen, namely No. 3 plant. Earlier attempts to reach the required location by use of a lift truck and robot proved daunting, so volunteer employees rode a lead-apron-draped scissors lift truck platform to the area and installed a fitting to allow nitrogen injection. As with the other plants TEPCO has received some specific instructions for reports from NISA which it is processing and will submit immediately. Once this is done and preparations made on site (which will not take long) nitrogen injection for the purpose of hydrogen gas inertion will begin at No. 3 plant completing the objective of the second point. 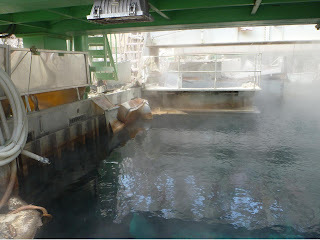 Third is the objective of achieving reliable cooling of the spent fuel pools. Operations in the last several days at No. 4 plant have seen the removal of rubble blocking a necessary system valve, operation of that valve, repair of some system piping and a preliminary filling test of the system. TEPCO is about to commence recirculating cooling of this spent fuel pool via heat exchangers located in the rad waste building. Item: It should be noted that the JAIF reports are indicating that TEPCO's analysis of spent fuel pool water show that MOST of the spent fuel at No. 2 and No. 4 plant spent fuel pools is UNDAMAGED. The operations at the rad waste facility also point up item four, which is the prevention of spread of further contaminated water. TEPCO had accumulated over 120,000 tons of contaminated water on site from a number of sources, the worst of which was that derived from the feed and bleed cooling of the three damaged reactor plants. TEPCO has put immense and unprecedented effort into the establishment of a great deal of available storage space in the forms of on site buildings and tanks, tanks brought in by sea (the mega float) and many tanks brought in by land which have been joined with a complex decontamination / desalination plant built by a consortium of manufacturers (notably Kurion and AREVA.) The establishment of this network of cleanup system and tankage means that water on site is essentially now being recirculated, so that the previous constant worries of turbine building and pipe trench overflow so common over last two months are being alleviated. Finally the fifth point mentioned above is the prevention of further aerial spread of contamination. 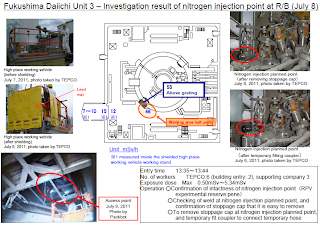 TEPCO has practically been covering the entire site with anti-scattering agent which is quite visible on the various site buildings, and all over the grounds. More important perhaps is the fact that the reactor building enclosure work is now clearly producing tangible results, and the first building's enclosure is under construction at this time. Completion of these 'first round' enclosures at all four plants will prevent further spread of aerially dispersed contaminants, which is already very much lower than during the most serious phase of the accident. It is no mistake to take the position that all of these things added together bring us to a fairly important place in the recovery effort where the worst challenges are now viewed as not only achievable but nearly achieved. For months now there have been so many constant but separate battles being fought on site and elsewhere to contain and control the massively complex accident site/scenario that at times it has seemed nearly impossible (and was advertised as completely impossible in the mainstream media.) It is clear now that all of this work has not only paid off but brought us to the brink of a turning point in the recovery at which we may say that the recovery effort is a success. Perhaps we will add all too hastily that this 'turning point' is, or will not be, a sharp curve but a broad swing slowly toward the final proper end direction in the recovery ... but the developments taken on the whole at this time are enough for this writer to finally say that we have reached a time where we may at least take a breath and a moment to reflect rather than take all our moments to scan the news wires and official sources for any further bad news, complications or hurdles. There is very much work yet to be done, some of it dreadfully complicated and dangerous. This will be better detailed in the near future. There are not sufficient words to express the true feelings for, and debt owed to, those men who have struggled heroically and tirelessly on site to bring us to this point. Many of them will continue at their work for many years, seeing the work though to complete decommissioning of the entire plant site. Finally for now... We were hoping to have new large pictures of some of the work today, but TEPCO's press photos were uploaded very small in size and we will wait to see if proper hi-res photos are uploaded, or else if the press handouts have better illustrations before presenting them. If better photos are not issued we'll run with those available tomorrow afternoon. Four bulletins this morning; full details and more photos later today. 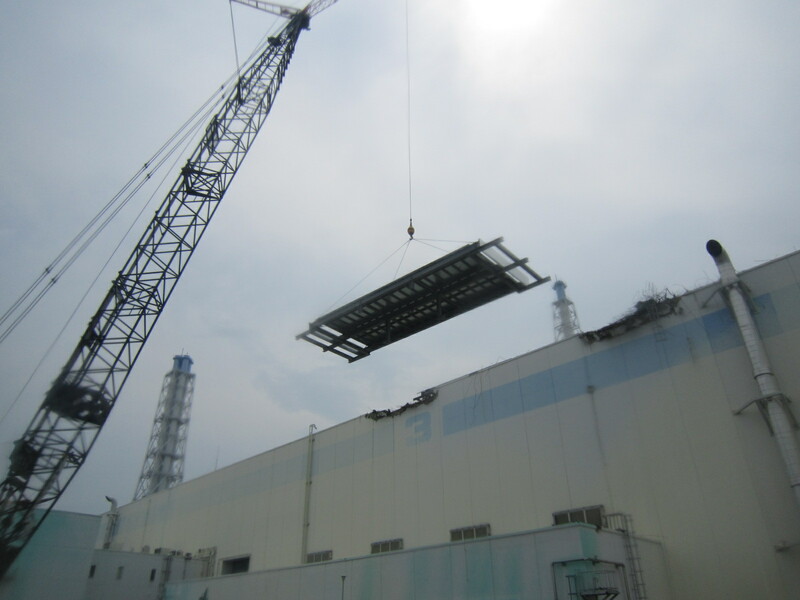 -TEPCO has repaired and tested the spent fuel pool cooling and filtering system setup at No. 4 plant and found it to be sound. -TEPCO has sent personnel into No. 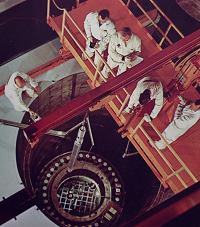 3 reactor building, instead of a robot, to prepare a connection to inject nitrogen to No. 3 plant's dry well. The photos appear to show a large snap-type Hansen (or Swagelok, etc) coupling. -NHK is reporting that it has obtained a not too widely circulated time frame outline for the entire plant recovery that details core removal in ten years. -Preliminary assembly of No. 1 reactor building's cover is underway at Onahama, and the large crane at Fukushima Daiichi is now frequently seen in the live camera view. MANY more details and photos later today. Atomic Power Review is very proud to host, for the first time, the rotating Carnival. This feature presents the very best of the pro-nuclear blog writers, who write from all angles and perspectives. Some of the blogs are quite specific, having been founded around one particular technology, plant type or even plant site, while others are very broad. The authors comprise a range of people with an aggregate of great experience in an equally wide range of fields. Those who are used to reading only the work of the normal "go to" people that the mainstream media uses as experts will find the selection of blogs presented here of great interest, and in great contrast to the usual fare. The content of the rotating Carnival as well as the rotation itself are transmitted and discussed courtesy the American Nuclear Society's Social Media List. For our nuclear friends; Can you guess what this photo is of? From the APRA collection; UPI Wire Photo. The answer follows the Carnival entries; click to enlarge. And now, on to the topics and the blogs! The future of as many as eight new reactor new builds in the U.S. will be determined by a single regulatory action at the NRC. This is the design certification of the Westinghouse AP1000. Anti-nuclear groups want to tie it up in knots because of the downstream leverage success would provide to their cause. Will they be successful? It all depends on the “leadership” of NRC Chairman Gregory Jaczko. So far he’s has been almost downright hostile taking the extraordinary step of issuing a press release last May critical of the Westinghouse submissions for design certification. This is Part IV of my review of Doug Koplow's "Nuclear Power: Still not viable without subsidies." In Part I, I examined the definition of subsidies and looked at several limiting cases, including subsidies to an energy related project, the Cape Wind Project. Par II focused on Government policy toward the domestic Uranium mining Industry, and the National Defense context of that policy, and questioned both the intended and actual benefit of these policies for the nuclear power industry. 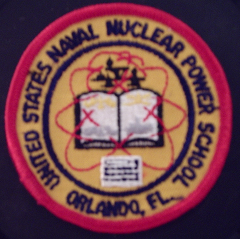 Part III examined the relationship between United States military interest and the interest of the Nuclear power industry, and concluded that the relationship between the two had not served the interest of the Nuclear Power Industry. Part IV finds that "Much of what Koplow views as government subsidies to the nuclear power industry are not subsidies at all, but he is correct that the relationship between the nuclear power Industry and the government is an important area for study. 2. Google.org is still confused about paths to the energy future--Google, through its philanthropic endeavor, Google.org, does not have a very good track record for predicting the future. Under Google’s model, neither the application of a $30 per ton carbon price nor a more robust set of policies and mandates to drive cleantech adoption can reduce emissions as effectively on their own as when they were coupled with breakthrough innovations that drive cost declines. In its latest account of the energy future Google.org ignores the potential game changing impact of small reactors and generation IV nuclear technology. In this post, Meredith Angwin shows how the Vermont Attorney General is grandstanding by announcing that he WILL announce his decision about bringing criminal charges against Entergy. The AG timed this set of announcements for the period in which a federal judge is deliberating Vermont Yankee continuing to operate while lawsuits are resolved. Angwin describes other lawsuits that the Vermont AG has brought to the Supreme Court---and lost. Rick says: "I am making an unsubstantiated claim and the viewer needs to understand that this is more than just a reaction to antinuclear statements to the contrary it is also an appeal to your common sense. Don't believe everything you read especially if the window dressing is neat and clean. I mean talking heads with great looking news sets and manicured anchors in suit and tie are no reason that they should be more credible than any other non-expert." There are many terrific reasons to favor the rapid development of nuclear fission technology, including the fact that nuclear energy is an important climate change mitigation tool. For some odd reason, possibly having to do with certain brands of political ideology, many nuclear professionals are reluctant to emphasize that last feature. They count themselves as climate change skeptics. 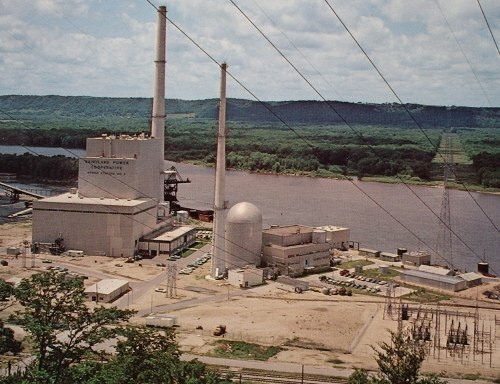 Utility companies that operate both nuclear and fossil fuel plants have a strong economic incentive for not directly comparing the effects of their fossil plants to the lack of effect of their nuclear plants because they do not want to redirect the ire of protesters from one of their facilities to another. energy chasm left by its fast-track exit of nuclear power. Germany produced 140.6 terawatt hours (TWh) of nuclear power in 2010. and...The US is joining the Wendelstein 7-X Stellerator fusion project in Germany. The final installment of my three part series on lessons learned from Fukushima. In this post, I examine political lessons learned, including regulatory independence and government interference. We should learn from this, but not necessarily the lessons that some would wish. An independent regulator is critical, but does not preclude hiring from industry, nor the other way around. And government leaders need to keep their responses measured, both domestically and internationally. And finally, last but certainly not least we have this week's entry from the American Nuclear Society's Nuclear Cafe - All Things Nuclear blog. nuclear renaissance, from around the world and in the USA. That's it for the 60th Carnival of Nuclear Bloggers. APR is already scheduled to host two further installments; the 64th on August 5th and the 69th on September 9th, with more sure to follow. I hope my regular readers who are not normally visitors to the above quoted and linked blogs find something of interest and return to them in the future. Above, a years-later post card photo, APRA collection. This plant was officially known as Dairyland Power Co-Op's Genoa No. 2 plant, but it's better known "in the business" as the LACBWR or the LaCrosse Boiling Water Reactor. 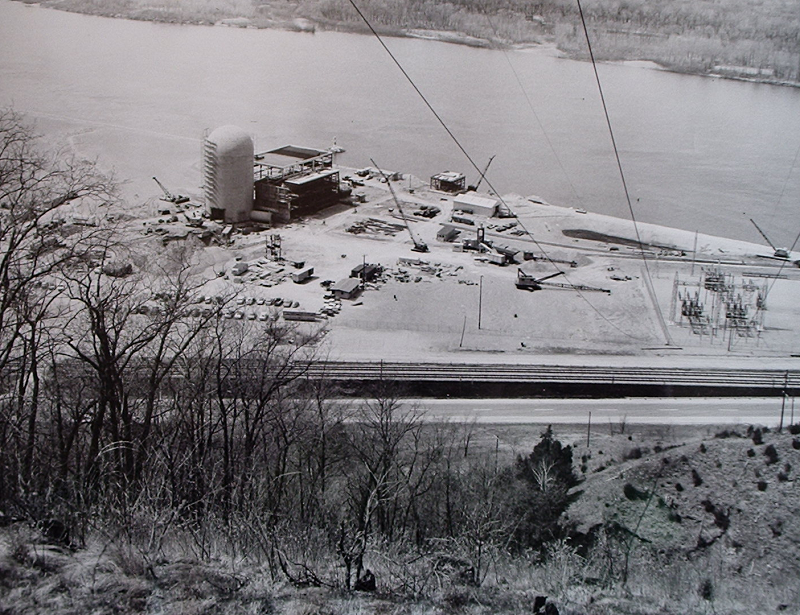 Built as part of the second round of the AEC's Power Demonstration Reactor Program; the reactor vendor was Allis-Chalmers. That's the much larger coal-fired Genoa No. 3 next door - which obviously wasn't there in the 'under construction' photo. Several Japanese media outlets are now carrying various stories about the Genkai Nuclear Station, its owner-operator Kyushu Electric Power, and the Genkai town meeting on June 26th at which many opinions on the restart of the Genkai station were presented. It appears that Kyushu's management asked a number of its own employees and employees of other firms to send in e-mails for presentation at this meeting. These e-mails were in support of returning the plant to full operation. The Japanese government appears to be preparing to get involved; Cabinet Secretary Edano and Economy and Trade Minister Kaieda have issued some fairly harsh statements about the actions and the loss of trust that Kyushu will now have to make good. This is absolutely not the kind of thing that utilities (ie, owner-operators of nuclear plants) needs to be doing right now. 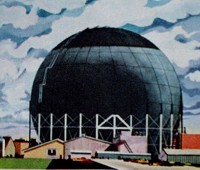 Even if the intention was good, the public appraisal of such an effort could never be good; even if the company wanted its employees to express their faith in the company, and the nuclear station and its preparedness in some outward way, such a covert campaign was doomed to appear as "ballot box stuffing" or worse in the present rarified atmosphere. One wonders how high up this runs - the President of Kyushu Electric has taken responsibility for this effort although he is not resigning at this time - and one also wonders who that had the chance DIDN'T say "no" to this plan. Japanese business etiquette almost demands that the president of the company take blame.. but was this wholly his plan? Bad idea, and very bad timing. NHK is reporting that a poll it took of 28 prefectures and local governments has revealed that five municipal governments have indicated that they wish to KEEP nuclear, fifteen of the respondents indicate no decision yet, and that four have come out anti-nuclear. Specifically mentioned is Shizuoka Prefecture, which actually wants to immediately end nuclear energy. This is not particularly surprising given that Hamaoka Nuclear Station is in this prefecture, which station is the one shut down by request of Prime Minister Naoto Kan and which has been fighting a legal action since 2003 over the plant's supposed siting over a serious fault line. Chubu Electric Power does not appear to agree with the shutdown, or with plans to scrap all nuclear energy, although of course it did submit to the government request to shut down the undamaged Hamaoka station. The three other anti-nuclear government bodies (either municipality or prefectural, but not stated) are not directly identified in the NHK report. Fukushima Prefecture was not included in the poll, for reasons that are only too obvious. It is this writer's opinion that no nuclear station will ever operate again in Fukushima Prefecture, which would mean that Fukushima Daini would be affected as well. It is too early to tell how all of this will play out. What is clear that several owner-operator utilities have voted down attempts by shareholders to scrap nuclear, as reported here; among these are TEPCO, Tohoku and Kansai. (It is my unconfirmed belief that Chubu also voted down such a plan.) Also clear is that five of the respondents in the NHK poll are FOR KEEPING nuclear energy, and that the vast majority of respondents are undecided. Only one respondent is in the "scrap all now" camp. Given that 28 bodies were polled, this is certainly not the death knell for nuclear in Japan yet, whatever it may turn out to be. There is also news of a round of "stress tests" to be conducted on all Japanese nuclear plants. This phrase is so acidic to those in favor of nuclear energy because of its clear (and probably deliberate) connection in the minds of most persons to medical testing done in search of circulatory and heart related problems. However, this phrase is, in a technical sense, so vague as to be quite useless in and of itself. These tests will include assessment for earthquake and tsunami, and very long term SBO events. It is probable that many of the 'undecideds' in the NHK poll discussed previously will become decided after the results of the tests at particular nuclear plants. -TEPCO will be making radiation field measurements inside No. 3 reactor building shortly to determine if measures taken recently (vacuuming of debris, covering of floor with steel plate) have attenuated the rad level enough to allow long enough stay times for commencement of nitrogen injection and installation of temporary local gauges. TEPCO has only 11 days as of now to meet its own deadline for these actions; No. 3 plant is the only one left for this work. The measurements will be taken by the US-made robot that performed the vacuum work, carrying a radiac while being elevated on the hydraulic lift platform of a work vehicle. -Water injection to the installed reactor cores follows essentially the same details as reported many times here; injection rate for No. 1 plant continues to be adjusted up and down slightly as needed. No. 3 plant remains the hottest, with the highest injection rate but all are essentially steady. Further, the recycling contaminated water filtration system is now reported in the Japanese media to be operating at about 80 percent efficiency and is certainly on line much more than not - taking these things together, the time for declaration that stable cooling is achieved without causing further spread of contaminated water to the environment is approaching fairly soon. -Spent fuel pool cooling continues on installed systems with some modifications at No. 1, 2 and 3 plants while damage at No. 4 plant continues to force TEPCO to direct inject water instead of using closed-loop cooling. TEPCO also occasionally continues to inject water to the storage wells at the refueling floor of No. 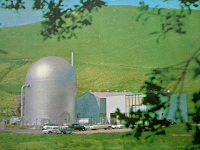 4 plant to keep radioactive components covered with water for shielding. Having noted this, TEPCO has uncovered and operated one of the valves in the spent fuel pool cooling system at No. 4 plant and is working diligently to achieve closed loop cooling for this plant as well. This would then mean stable, closed-loop cooling for the spent fuel pools at all four affected plants which is another major milestone on the plant recovery road map. -Nitrogen injection continues normally at No. 1 and No. 2 plants (direct to the dry wells) with by this point over 60,000 m³ of nitrogen injected to No. 1 plant and about 2,300 m³ to No. 2 plant. Dry well pressure at No. 2 plant continues to rise as expected, as also reported in a previous post. -Construction work continues on the reactor building enclosures, with delivery of some major components expected on site today. The 59th Carnival of Nuclear Energy Blogs is now posted over at "Yes Vermont Yankee." 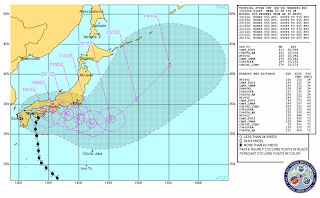 APR is featured there with the most recent post on Fukushima Daiichi. Meredith Angwin, author of YVY, notes her regret at not having linked APR in her link list and now I must admit mine for not having linked YVY here. Her blog is now in the link list on the right, and also in the auto-update blog roll. Regular readers here should enjoy this addition. There are two situations to discuss at the site as of now, in addition to the post made yesterday about conditions at Fukushima Daiichi. First, some press has been given to a very brief loss of cooling at No. 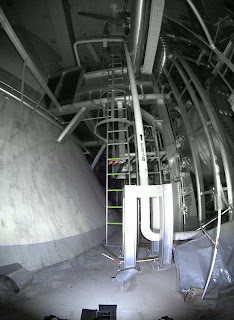 5 plant at Fukushima Daiichi. No. 5 and No. 6 plants have been almost completely unaffected, but there have been some minor problems from time to time. The loss of the Residual Heat Removal System was due to the discovery of a leak in one of the temporary seawater pipes that has been set up to replace the installed but down systems. When we say "leak," it was not as if this leak was difficult to notice. See the TEPCO press photo below. The photo above was made at roughly 3:30 PM on June 3. The system was shut down, and the hose replaced. For those wondering just what this system looks like schematically, and where this leak was, it is instructive to examine two illustrations from a release by TEPCO showing the temporary setup. Above, in a view from the side we see the two temporary RHRS seawater pumps taking suction on the seawater, and discharging through hoses to two check valves and then several flanged sections of pipe and hose. The leak location and magnitude are clearly shown. Below, an overhead view. In the view above, we can see the normal circ water and RHRS pumps, and the temporarily installed pumps. The cooling for No. 5 plant was down about two hours and sixteen minutes if the latest TEPCO account is correct; no further problems were noted. TEPCO had stated just before the operation that fuel temperature would rise no more than about 2.5C per hour for the time RHRS was down. Now, the other situation; TEPCO is intending, according to NHK reports, to make its July 17 date for nitrogen injection into all three reactors a reality even if serious measures are called for. 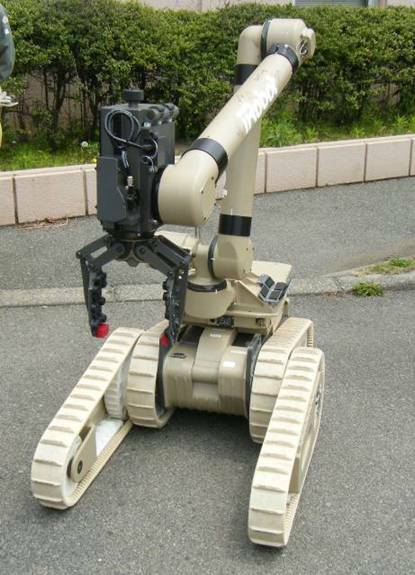 Not only did TEPCO use a robot to clean out some of the access area needed for this operation in No. 3 plant, it is now laying down steel plating to attenuate radiation in the work area. The highest reported exposure levels in the area needed for access are about 186 mSv/hr, or 18.6 R/hr. There will be video of the robot performing its vacuuming job on the APR YouTube Channel shortly. As of this moment, nitrogen injection into No. 2 plant continues smoothly with dry well pressure rising as expected. All other reactor plant parameters on site are essentially unchanged since the last report. UPDATE Video now up at APR YouTube Channel. There is little significant news to report from the site over the last several days; here are the highlights. -Further inspection of the spent fuel pools, including high quality photos of the spent fuel pool at No. 4 plant, is revealing less damage than previously assumed. Japanese media are reporting that the spent fuel pools at No. 2 and at No. 3 plants are cooled to or below 40C and stable, with their original spent fuel pool cooling systems operating in nearly normal fashion. No. 1 and No. 4 plants are more problematic in terms of restoration of the systems, with No. 4 being worse by far due to system damage. However, the actual condition of the spent fuel itself in No. 4 plant's spent fuel pool is not nearly as bad as might have been suspected... or as was reported in some outlets. Below, high-res TEPCO press photo of the spent fuel pool surface taken on the refueling floor level. 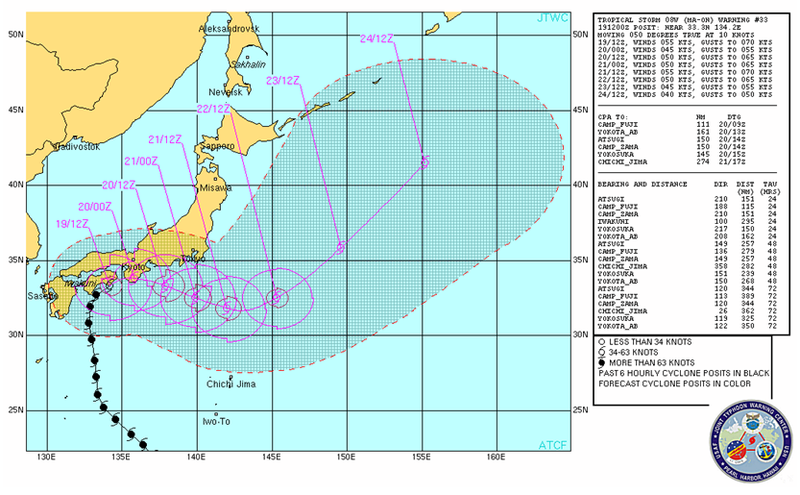 Click to enlarge; courtesy TEPCO. -TEPCO is cleaning up some debris in No. 3 reactor building using a three-unit system comprising a large industrial vacuum, a filtering system, and a robot. 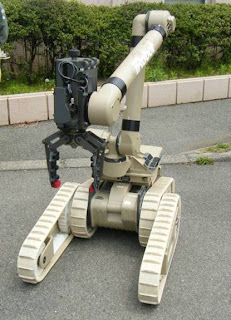 Below is a TEPCO press photo of the robot in use for this task. -Nitrogen injection continues at No. 1 and No. 2 plants' dry wells. Note: While this is not essentially breaking news, it is important to monitor the threat of radiolytic hydrogen at the three damaged reactor plants; we will report any developments in this area here as soon as they're released. 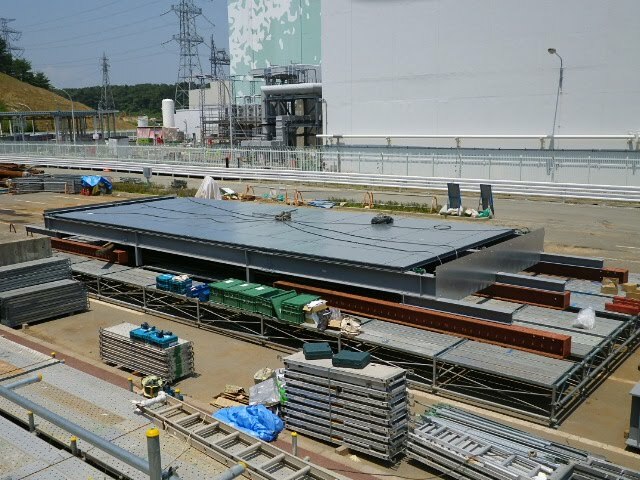 -A large embankment has been completed on the water side of the Fukushima Daiichi station to prevent further effects of water from offshore for any reason. The two pictures below are courtesy TEPCO; the first is on the water side of the rad waste building, looking south. This is the southern tip of the Fukushima Daiichi station. Note the many large iron castings used to reinforce the retaining wall. This is a very large picture; click to enlarge. Below is another photo taken from a position further south, and higher up on the tiers of defense. 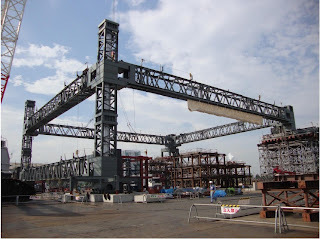 Notable in this picture are the different types of material used in different layers - and also notable in the distance is the enormous crane being set up to construct the reactor building enclosure at No. 1 plant. Another new, experimental and introductory level video is now up at the APR YouTube Channel. This new video covers the topic of Pressure Suppression Containment. Much press is being given to the Mk I containment design even now in the USA, and it might be a good time to get a little better look at what this is and where it came from, as well as how it's built. As of now, this new video is the featured video and will come up first. Labels: "MK I" "containment" "suppression" "youtube" "video"